There were no important economic reports yesterday for Britain, however, GBPUSD is chiefly under the influence of bonds yield differential between the US and the UK. 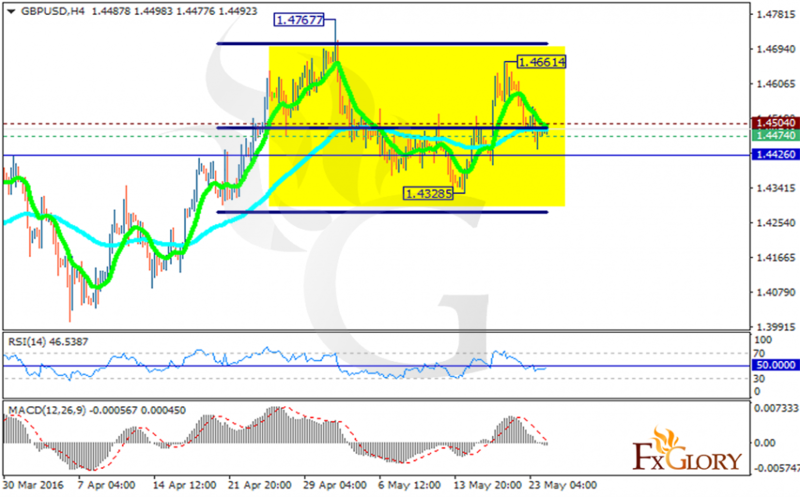 GBPUSD is moving in neutral zone and it is hard to predict the next trend. The support rests at 1.4474 with resistance at 1.45040 which both lines are above the monthly pivot point at 1.44260. The EMA of 10 has reached the EMA of 75 and they are both moving in neutral area. The MACD indicator and the RSI are in negative territory but very close to the neutral zone. Traders can wait for stronger signals however, short positions can be recommended after the support level breakthrough targeting 1.4320.